Party Secretary of Gansu Province which encompasses a part of Tibet. Education: Served in the PLA Navy as a submariner, then joined the Communist Party and worked in the Ministry of Aerospace Industry, then in Beijing for 30 years. Career: Varied career, including a stint under Wang Qishan (who was Mayor of Beijing), and in Discipline before being moved to Gansu in April 2016. Relevance to Tibet: Party Secretary of Gansu Province, and so responsible for part of Tibet. Alternate member of the 18th Central Committee. Lin Duo’s early career was in various positions in Beijing – from highways to Party Secretary of Beijing’s Xicheng District over the course of 30 years. During his tenure in Beijing he studied at the Beijing Party School on a part-time basis, earning a Bachelor’s Degree in 1993 and a Master’s in 1997. Between 2010 and 2014 Lin Duo served in Harbin, the capital of Heilongjiang Province (Party Secretary of Harbin from 2012) before being transferred to Liaoning Province in August 2014, as part of Xi Jinping’s anti-corruption campaign. As Secretary of the Commission for Discipline Inspection, Lin was reportedly instrumental in leading the investigation into the Liaoning vote-buying scandal, which led to the suspension of the provincial People’s Congress. 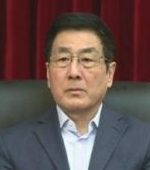 On 1 April 2016, Lin Duo was made acting Governor of Gansu province in northwest China, despite it being considered an unusual move to go directly from a discipline chief position to governor. On 11 April 2017, Lin was appointed as the Communist Party Secretary of Gansu, replacing Wang Sanyun who was later placed under investigation. For best results when printing this page, adjust your print settings by unchecking “print background colours” and “print background images”. This entry was posted in Profiles and tagged China, Chinese Communist Party, Gansu, Party Secretary, Tibet, Tibet Work Leading Group. Bookmark the permalink. This website is overseen by The International Tibet Network, a global coalition of Tibet-related non-governmental organisations. The information on this site is an educational resource for campaigners working to end human rights violations in Tibet and to restore the Tibetan people's right under international law to determine their own political, economic, social, religious, and cultural status. We dedicate this site to Dr Dorothy Berger, who passed away 28 February 2011. Dorothy was the inspiration behind this website and is responsible for gathering together most of the material that can be found here.